Can you tell us about your background and motivation to start workXmate? 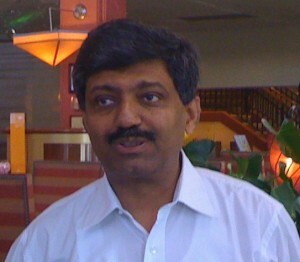 Both Atul and I have been in the software product and services industry for over 2 decades now. We were part of the senior leadership team at DCM – one of the earliest product companies operating out of India. After our stints at DCM each of us has dabbled in to starting our ventures. 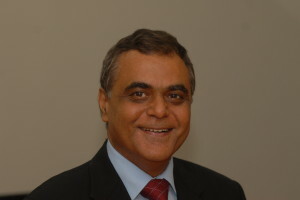 Atul set up nSys which was a niche player in the verification IP and chip design space. nSys became a market leader within a short span of time, which led to its acquisition by Synopsys. I joined Birlasoft’s leadership team and led its transformation from a 400 member team to about 5000 people over a 7 year span. Post that, I started a startup AlmaMate Info Tech that focused on making graduates employable. I gained great experience running it. A couple of years ago, we scanned the marketplace searching the next big opportunity that we could work up on. We converged on the resource planning and automation space for SMBs as the segment to target. This was driven by two factors; one by our own past experiences where we faced difficulties to chose the right ERP tool for our startups and second – the technology and globalization changes that are affecting the SMBs. Both of these convinced us that we should provide a practical and effective solution in this space – and this led to setting up of workXmate Technologies. Could you elaborate a bit more on how the technology and globalization changes are affecting SMBs, and how does your product help SMBs to deal with these? Cloud as a technology change has a huge impact on SMB sector world wide. Due to provision of computing services with no upfront investment, it is most attractive to cash strapped SMBs. Also due to the maturity and acceptance of Cloud, most SMBs are now looking to leverage this disruption to their advantage. On a different note, due to liberalization of Indian economy and the proliferation of Internet in India, SMBs operating out of India now have to compete with global players. This has forced them to consider efficiency enhancing solutions. Our product helps customers to leverage the benefits of cloud based deployment. However, the key differentiator from competition is that our product actually integrates functionality of all point solutions which SMBs use across different departments and offers the same capabilities at affordable costs. Usually, we find most customers managing all their work processes using Tally and excel sheets. workXmate has Apps like CRM, HCM, Project Management, Inventory, Knowledge Management and Intranet seamlessly integrated and working on a single database with a single login. Due to the globalization pressures, as SMEs look to optimize their work activities, our product becomes a compelling proposition. Great insights! How has your experience been, selling to the initial set of customers and what learning have you had thus far? We have got off to a very good start, clocking about 25 customers in our first quarter since we formally launched our product. We also have about 50 more customers in the pipeline. The quick ramp up of customers for the product is a good validation of the value that our product provides to our customers. Secondly, it also validates our business model of targeting the services based companies to begin with. We are able to convert most of our leads to paying customers due to our deep understanding and prior experience in services sector. Also, due to the nature of work in the services sector, these segments of customers tend to be more tech-savvy and need to adapt to new technology solutions at a faster pace. We also realize that all customer acquisition cannot be organic. Hence we are actively looking out for partners and alliances to help proliferate our offerings to the wider market. Good to hear about your increasing customer base… What are your future plans for the product and the company? We first want to establish ourselves firmly as the vendor of choice for the Indian SMB customer segment. The next logical step for us is to start selling in International markets. We are studying about the changes we need to make to suit or incorporate geography specific practices in to our product. We expect to target all English speaking countries as part of the first phase of selling abroad. Excellent! In closing, would you like to provide your thoughts to fellow product entrepreneurs operating out of India? As product entrepreneurs operating out of India, we believe that these are very exciting times for us. We have a great opportunity to build truly global products, thanks to the globalization and advent of new technologies which provide a level playing ground to entrepreneurs across the world. We would like to be the enabler of success to thousands of small businesses and start-ups as they embark on leading our country to further prosperity. Sold your company / Business ?? How to protect and handle the IPR transfer ? ?